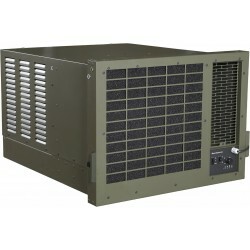 Thermobile IMAC is a high efficiency heat exchanger (92%), weather resistant and lockable casing. 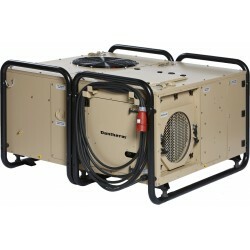 It has high pressure fan for powerful heat distribution. Also, the combustion chamber heat is resistant up to 850°C. 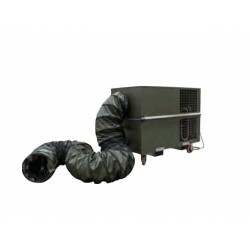 Thermobile IMAC has a recirculation hose fl ange possible. It is 100% clean and dry heat. The outlet temperature (delta T) is of some 47°C with large heat throw and lower tray for oil containment during servicing. The IMAC 2000 S 2T and 2200 S 2T are an optional version of the IMAC 2000 S. The IMAC 2200 S 2T has a capacity of 220 kW, a 2 stage burner, two fan speeds, soft start using the built-in frequency controller and a dual thermostat connection. The same applies to the IMAC 2000 S 2T with a capacity of 200 kW. By using two thermostats that are set with a slight difference the heater always automatically operates the burner with the most favourable burner stage. Normally it will burn to the lowest level controlled by the highest set thermostat. If the capacity is not sufficient enough the temperature drops to the lowest setting of the other thermostat and the heater will turn on to high stage. The advantage is that the heater is quieter and more efficient. Body work in stainless steel. Standard with stainless steel frame on box girders with forklift slots. Stackable construction with crane hooks. Weather resistant and lockable casing. 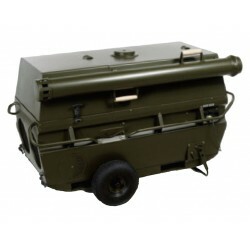 High capacity, easily and safely transportable, central control. Lockable door panels for control box and burner area with feed through glands for cable and fuel hoses. 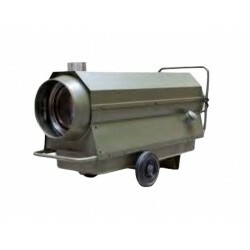 Intercal industrial burner with flow control, as alternative available with a Riello oil- or gas burner. Completely automatic burner control with thermostat connection. 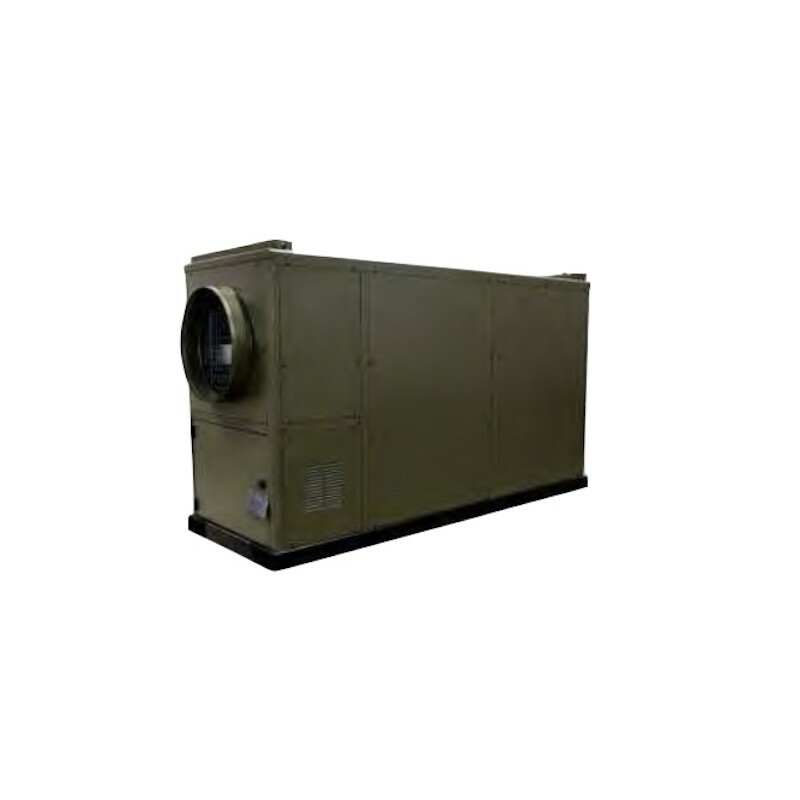 With overheat protection and temperature limitation of warm air. Fan and thermal security resettable from control box. The IMAC 1200 EC en 1500 EC are standard equipped with a 1x500 mm outlet panel. Optional available with 1x600 mm, 4x300 mm, 6x300 mm en 2x500 mm. mm, 6x300 mm and 2x500 mm available. The IMAC 4000 E is available with 3x500 mm, 2x600 mm of 1x800 mm outlet panel. A recirculation flange for the IMAC 1200/1500/2000/2200 is available as an accessory. The IMAC 4000 E, IMAC 2000 EC 2T en IMAC 2200 EC 2T are equipped with a 2 stage burner and a 2 speed fan. The fan of the IMAC 4000 E is controlled by a frequency controller that also functions as a soft starter. position. These fans have a standard built-in soft starter and phase control. buil. 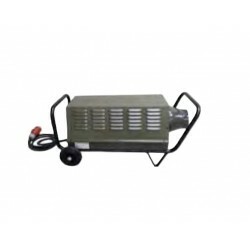 Heating of transit sheds, workshops and warehouses. 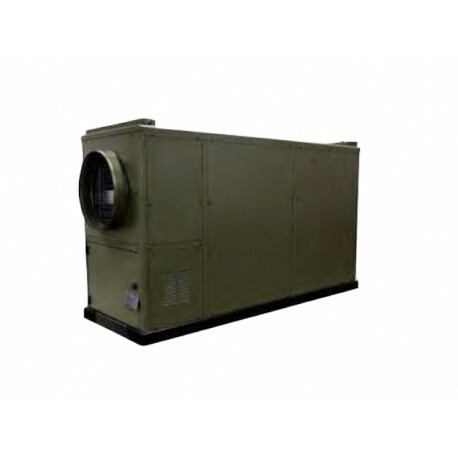 Heating and drying of building locations and all-weather projects. IMAC models are especially suited for heating marquees, showrooms and sports halls.